Nearly Hitting a Jack Pot!! 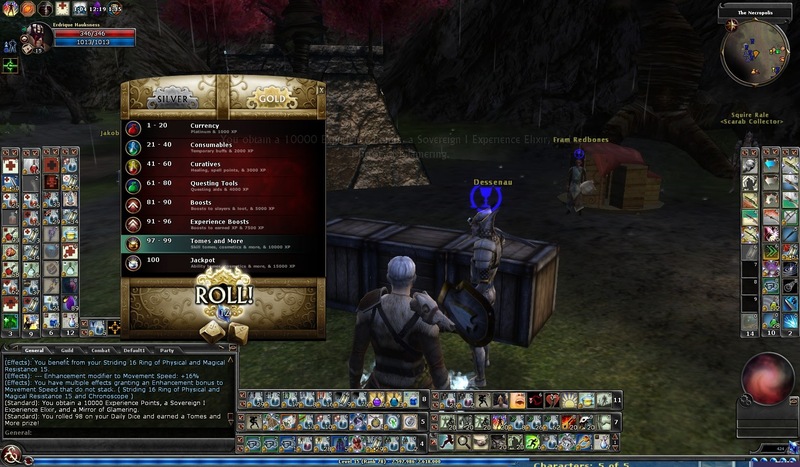 Awhile back, Erdrique rolled pretty high on a gold roll (a 98) and he picked up an interesting reward. Erdrique getting a couple nice prizes..